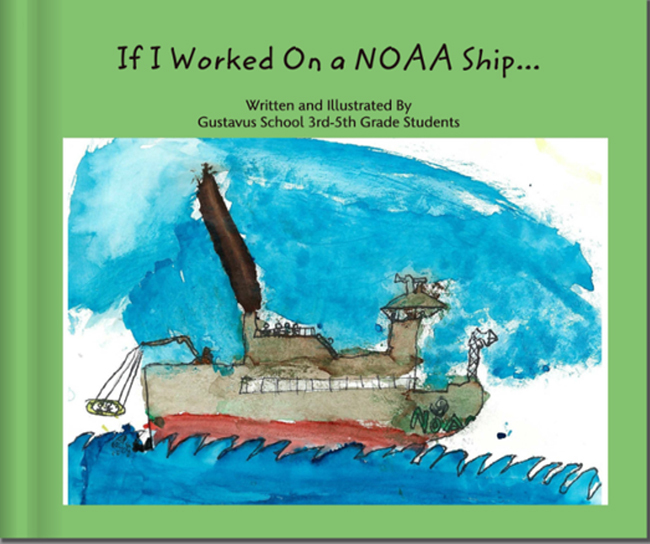 As NOAA’s Teacher at Sea Program (TAS) prepares for its 2012 season, the lessons and materials created by its participants from the 2011 season are making it into the hands of their eager students around the U.S. In 2011, 34 teachers representing 21 states, participated in NOAA research cruises, involving science, technology, engineering, and math (STEM) concepts that can be integrated into their daily lessons. One of the goals of the TAS program is that teachers understand and use NOAA data in their classrooms. Teachers also obtain and translate this STEM knowledge for their students and the public in their blogs. Another goal of the TAS program is for teachers to learn how different STEM occupations support NOAA’s mission and to then convey this information to their students. Each teacher is required to meet with, and sometimes interview, multiple crewmembers during the research cruise. Often times, these interviews are featured in their blogs, but sometimes, teachers have the students create a product that explains the different jobs. Jessie Soder, an elementary school teacher from Gustavus, Alaska, sailed aboard NOAA Ship Delaware II during a surf clam and quahog survey in August of 2011 as a NOAA TAS. Ms. Soder writes in her blog that “When I found out that the Teacher at Sea trip that I would be on was a clam survey, I thought, ‘Oh, clams. I see those on the beach all the time. No problem. . . . Quickly, I learned that this project is not that simple!” Clam surveys are very labor-intensive and there are multiple occupations involved to make the data collected reliable and accurate. It takes a true team effort. When Ms. Soder returned home, she shared her experience with her students and taught them about all the careers on NOAA ships. Together, they created this book to teach others about careers on NOAA ships. The 2012 class of teachers participating in the NOAA Teacher at Sea Program will be announced in March 2012. You can learn more about how NOAA Teachers at Sea participate in cutting-edge research, side-by-side with NOAA scientists, and also follow them along during their research cruises, by visiting the NOAA TAS site. Submitted on February 10, 2012 - 4:14pm.